and would like to make it as beautiful as it can possibly be. 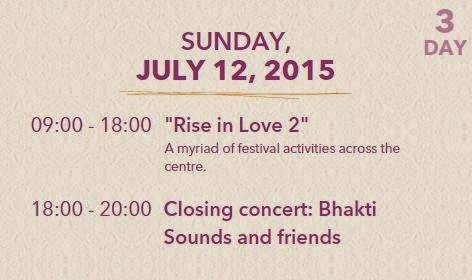 As music is a very important part of Bhakti Marga, we ordered a really big proper and professional "open air stage" on which an exquisite music program will take place over the course of three days. ...and finally a video with the enchanting Bittu Malick, who met Swamiji personally for the first time during the recent pilgrimage trip to Vrindavan this March (Holi Festival). He is well known not only in India but also in Russia and is very happy to sing at the anniversary for Swamiji and his guests! 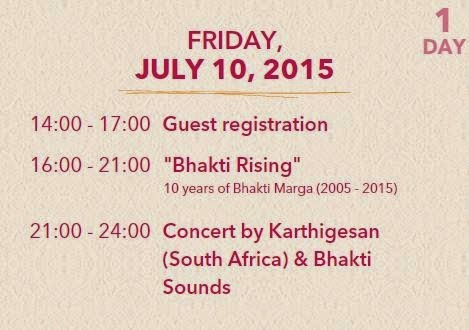 We here at the Bhakti Marga in Springen would be very happy, if you can all, really all join us and celebrate and honour with us Swamiji's work of the past 10 years, with gratitude and with joy. As you surely know by now: We are very good at celebrating! 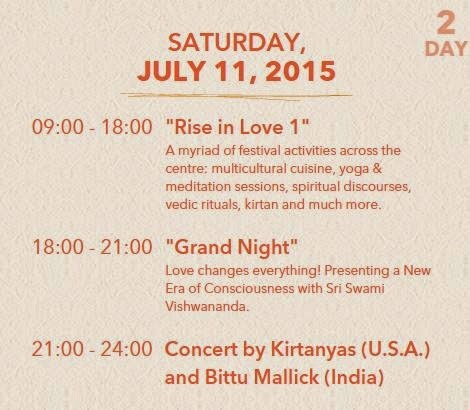 So join us for an unforgettable time, which will mark the beginning of a New Era of Consciousness.